Attention apartment dwellers, busy people and lovers of pork! With warm weather typically comes grilling. But marinating meat and cooking it over a flame, carefully watching and attentively prodding it isn’t always feasible. For those moments, you need a recipe for a nice and easy summer meal that doesn’t let you miss out on the flavorful, meaty goodness. This Clove & Nut Brown Ale Pulled Pork is a super simple slow cooker recipe that packs in tons of flavor with minimal effort. The clove and cinnamon spice rub flavors everything with warmth and happiness and the meat gets nice and tender from the nut brown ale that it cooks in all day. Start it in the morning and it’ll be ready by dinner! 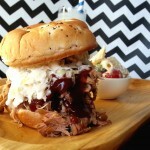 Slow cooker pulled pork sandwiches made with nut brown ale and a clove and cinnamon spice rub. Place onion slices on the bottom of the slow cooker. Cover with beer. Blend together brown sugar, chili powder, sea salt, cloves, allspice and cinnamon. Rinse the pork and pat dry. Rub spice mix all over. Place pork, fat side up, in slow cooker. Cook on low for 8-10 hours (or high for 6-8 hours). When the pork is done cooking, remove to a large, glass bowl. Shred with two forks. Strain cooking liquid and add 1 cup to the shredded pork. 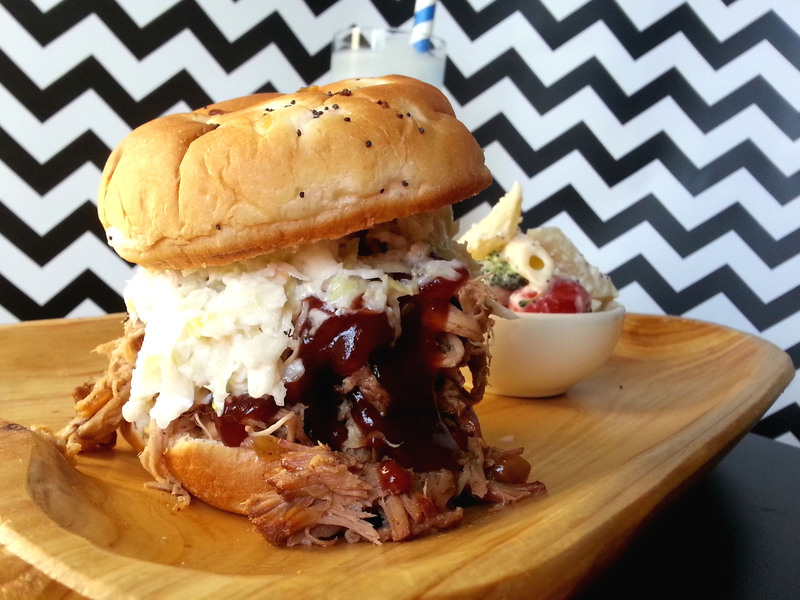 Serve on an onion roll with your favorite bbq sauce and a heaping of cole slaw.